In 1953 my friend Steven Chong visited me and I took him sight seeing to various parts of the island. I took many photos with him but only 3 was found. The above photo shows a British airbase in Singapore. The background had a few houses. They could be quarters for the airbase personnels. 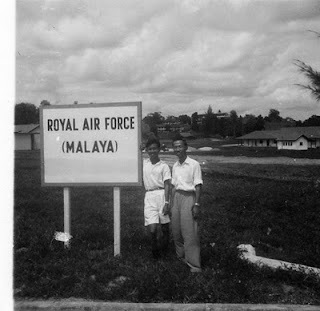 I think the Royal Air For (Malaya) signboard was at the junction of 2 roads. I have forgotten the name of the roads. Does anyone knows its exact location? The photos below are easy to guess. I came across your blog while I was googling for pudu jail pictures. 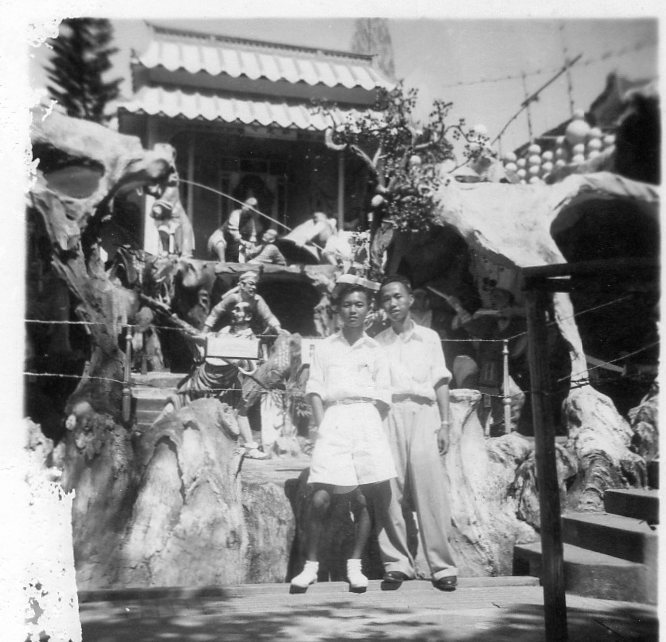 I love reading your blog and i love seeing old pictures which are black and white! Very nice blog! I hope you don't mind if I link your blog to mine. Keep on blogging and I can't wait to read more stories from you. philip, could it be at tengah? I thought so, but where was the location of the signboard? I worked t tengah in the late 70s and lived two miles away for many years. tengah did not have hills. so I think it is either Seletar or Changi. I guess it is change, maybe where AETI used to be. I used to work at Tengah in the late 70s and lived two miles away for many years. tengah do not have hills. 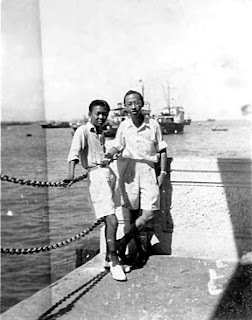 changi had hills, and maybe Seletar. 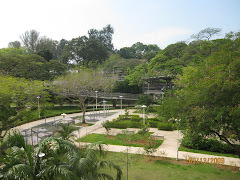 The picture looked like Changi, where AETI used to be.